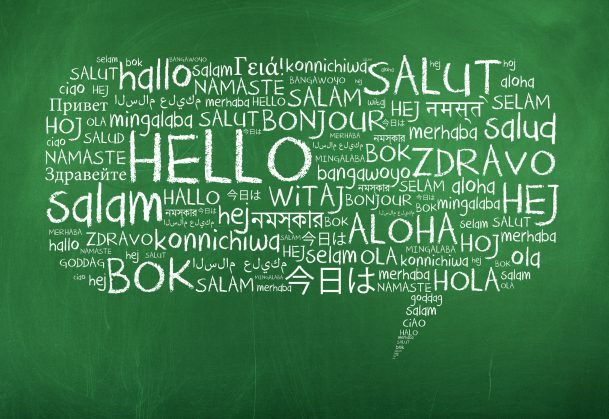 People who are bilingual have what psychological scientists call a “hard problem.” Even when they are speaking one language, lexical representations for both of the languages they speak become activated. As a result, speakers need to overcome this competition in order to select the appropriate lexical information from the correct language. The lexical competition that bilingual individuals experience has most often been studied using language-switching paradigms, in which participants alternate between naming stimuli in their first and second languages. Researchers have found that participants are slower to respond on trials where the language has just switched than on trials where the language has stayed the same as the language of the last trial. In a 2016 article published in the Journal of Cognitive Psychology, L. Robert Slevc, Nicholas S. Davey, and Jared A. Linck (University of Maryland, College Park) investigated competing theories about why these switching costs occur. One theory suggests that bilingual speakers need to inhibit nontarget languages so that they can speak the target language successfully. A second theory suggests that switching costs reflect the time needed for the target language to surpass residual activation from the previously used nontarget language. Yet a third theory posits that switching costs reflect not inhibition or persisting activation, but instead something particular about the design of the language-switch task itself. This third theory — called the response-selection hypothesis — arises from the fact that most language-switching paradigms use stimuli, such as pictures or numbers, which can be responded to in either language. That fact suggests that switching costs reflect how people toggle between the criteria used to select the trial-appropriate response rather than how people switch between languages. To test whether switching costs are the result of response selection, the researchers examined language-switching costs in Chinese–English bilingual participants. These participants completed a language-switching task in which they verbalized Chinese characters, English words, and Pinyin words. (Pinyin is a writing system that expresses Chinese words using Roman characters.) Participants were asked to switch between reading aloud Chinese characters and English words (languages that are orthographically and lexically distinct), and to switch between reading aloud English words and Pinyin words (languages that are lexically — but not orthographically — distinct). Because Pinyin words and English words are orthographically similar, participants need to pay attention to the demands of the trial when deciding how to respond. This is not true when switching between reading Chinese characters and English words because the two languages are lexically and orthographically distinct. Thus if switching costs are the result of response selection, they should arise only when participants switch between English and Pinyin, and not when they switch between English and Chinese characters. If, on the other hand, switching costs are the result of inhibition or persistent activation, then they should arise when participants switch between any two languages regardless of how orthographically similar or dissimilar the words are. Thus we would expect to see language switching costs for when participants switch between verbalizing English and Pinyin and when they switch between verbalizing English and Chinese characters. The researchers found participants displayed switching costs when switching between English and Pinyin as well as when moving between English and Chinese characters. This finding does not support the response-selection theory and suggests the need for more research into the mechanisms underlying the costs associated with switching between languages.